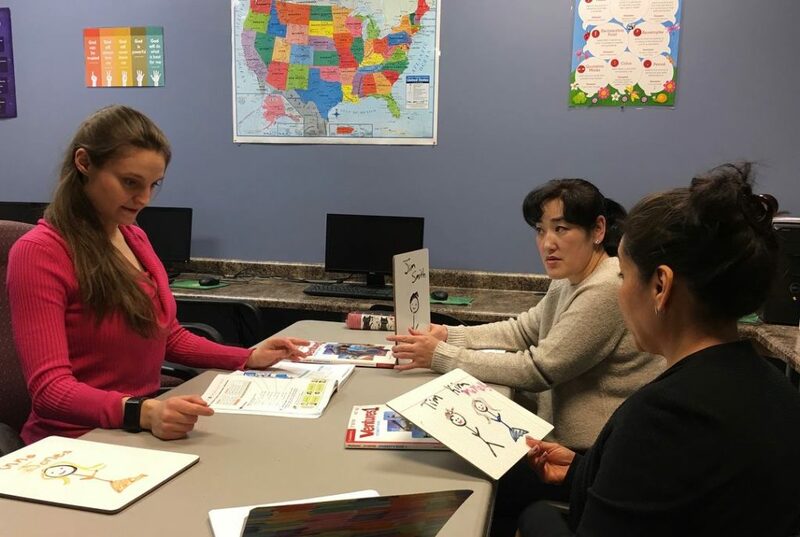 In an ongoing effort to reach and equip those from other nations in our community, Family Empowerment Centers offer English as a Second Language (ESL) classes. Through partnership with students from Moody Bible Institute’s TESOL program, we are able to offer a quality class environment. These Moody students, who volunteer their time to teach English, are in the process of completing their degree and do the bulk of the teaching at our program. The students are under the direction of Rachel Madella, a staff member of FEC who received her Masters in Cross-Cultural Ministry from Moody Theological Seminary in Chicago. Classes will be taught entirely in English. Grammar and vocabulary lessons are taught through listening, speaking, reading, and writing exercises. Lessons also include fun activities like games and practical activities that teach students how to use English in their daily life. Our teachers attempt to create a safe learning environment so each student can comfortably participate in the learning process. There are three class levels offered: beginner, intermediate, and advanced. Placement tests are given to determine the best class level for each student. 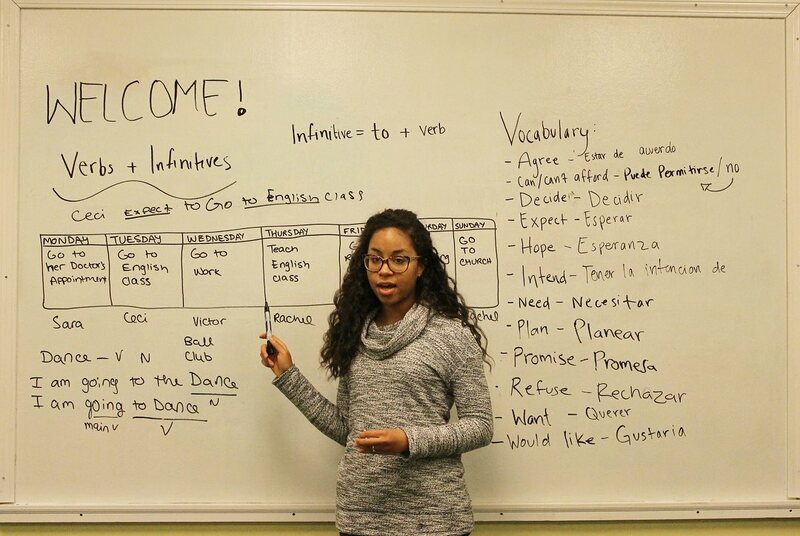 There are also several conversation nights offered throughout the year, which is a time for students to play games, get to know each other, and practice the English they have been learning in a comfortable environment. Classes meet twice a week on Tuesday and Thursday evenings during the school year. Classes begin at 6:30pm and end at 8:30pm, with a 10 minute break at 7:30 to enjoy snacks, coffee, and build relationships with others in the program. We ask that students arrive to class on time, as teachers will begin their class promptly at 6:30. Childcare is offered for children ages 2-12. Volunteers from Moody Bible Institute play games, read stories, and make crafts with the children. A snack is provided for the children. Three tests will be given throughout the year: a placement test at the beginning of the year, and mid-year test, and a final test at the end of the year. Testing is divided into two parts: a listening/speaking exam, and a reading/writing exam. These tests are given to determine which class level is best for the student, as well as to determine the progress that each student is making. Classes are free; however, we strongly recommend that each student buy a textbook so they can follow along in class and practice at home. If a student is interested in purchasing the book, or if they desire to do so but cannot afford it, they should inform the ESL director or their teacher.